"I was contemplating using square log cabin blocks, but found that they didn’t give me the twin sized quilt I wanted or they ended up with an odd number of blocks along the side, which didn’t suit the layout I wanted to use. I realised that a rectangular block would work much better, so that’s what I went with. My blocks are 10″ x 11″ finished (sewn together). 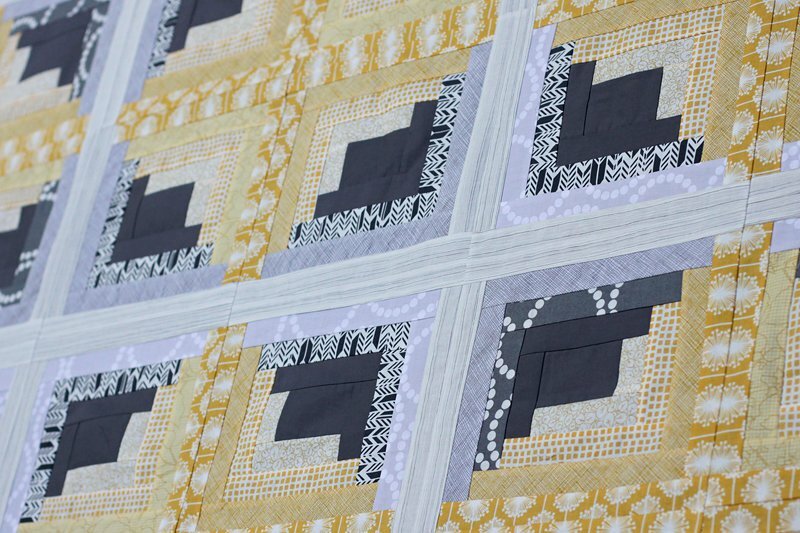 "My final layout was 6 blocks by 8 blocks, and they are arranged in the configuration commonly known as Sunshine and Shadows. 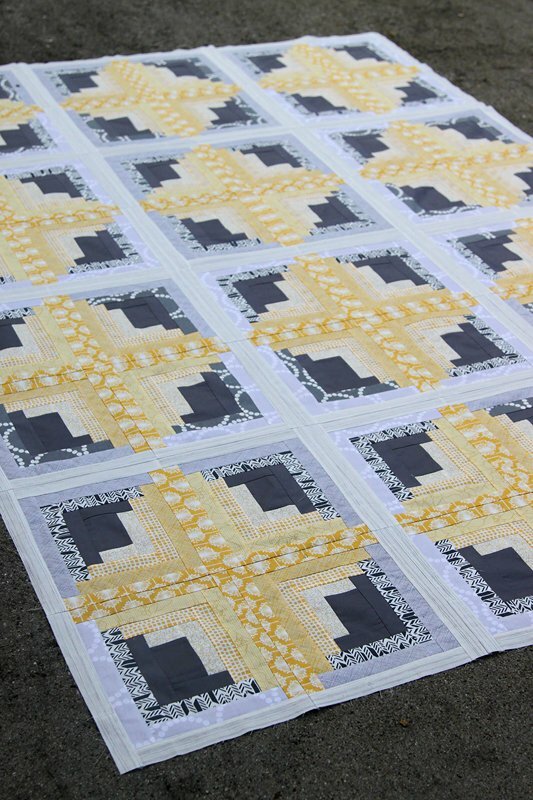 Boy, there are some configurations out there – this was the hardest part of this quilt, deciding which to go with. And then deciding which way to gradate the colours. Dark against light, light against light, phew. I finally settled on my version as I felt it made the ‘stars’ pop the most."